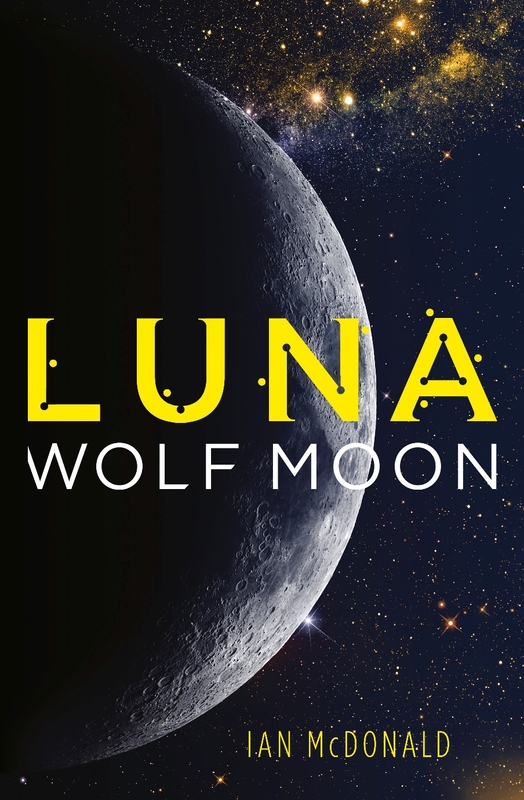 Luna: Wolf Moon is the second book of Ian McDonald's Luna series.I thought the first book was originally described as the start of a duology, but Wolf Moon does leave enough plot threads open to suggest that this is now intended as a long, epic series. I first heard of Luna at a convention, where Ian McDonald talked about the books, and the fundamental premise: that the moon has no law but contract law. The basis of the society he predicts is therefore not "feudal dark ages", but "hyper-capitalist, libertarian utopia". There is no government on the moon, only a corporation with a local figurehead who doesn't actually wield all that much executive power. There is a court, but it's a court of arbitration above all, since there isn't a criminal law system. Rich family dynasties have their private security forces, but there is no standing army or police force. What Luna illustrates, if you read it with all that in mind, is that there is actually no systemic difference between libertarian utopia and The Dark Ages. The only difference is the absence of the Black Death / disease and the presence of higher levels of technology. Everything else is pretty much the same: borderline slavery, warlords, feudal society etc. However, this aspect of the premise is quite subtly interwoven into the plot. It's not staring you in the face, and I think it's almost too hidden in the background of the Lunar world. Had I not heard the talk, I would probably have missed it entirely. With a huge cast of characters, Luna: Wolf Moon was a bit bewildering at times, because I had forgotten much of the detail of Luna: New Moon. The things and characters I did remember (Adriana Corta, Marina) were much less central in Wolf Moon than the characters I had forgotten. Marina, for example, is absent for the first quarter of the book, and her story had been my favourite in the first novel because she wasn't born rich with a silver spoon in her mouth, unlike every other character. This is perhaps Luna's biggest flaw, that almost everyone is rich and powerful. Sure, there are falls from power and rises, but it's a stark contrast to Ian McDonald's other novels, where most characters are hustling a little corner for themselves from positions near the bottom of the power structures. Luna, instead, focuses on the very top. The hoi polloi are pawns and footsoldiers. Unsurprisingly, Wolf Moon is well written, with good prose, compelling settings, authentic and believable science. However, it doesn't quite rise over the shadows cast by Song of Ice and Fire's influence. And, filled with characters too highborn to be easy to empathise with, the novel lacks some of the heart and soul and drive that Ian McDonald is capable of. It's a good book, well worth reading if you've read Luna: New Moon, but it's not the first book or series I would recommend to a reader new to Ian McDonald. 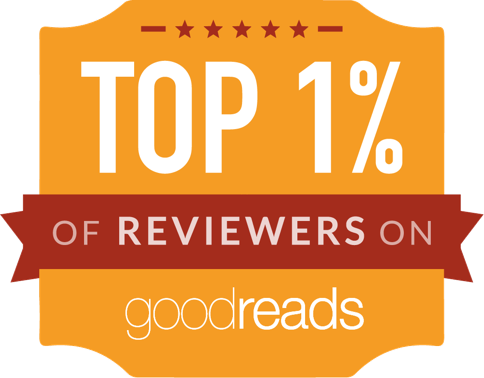 PS: here's my review of the first book, Luna: New Moon.